In the lead up to the 12th Asia Pacific Screen Awards, APSA have announced a series of events to be held in Brisbane as a part of the 2018 Industry Program. These events will be attended by nominated guests of APSA and are open to the public. Film screenings, masterclasses, Q&As and more are included among the free events for all to join. Presented by Griffith Film School in partnership with the Asia Pacific Screen Awards, four-time APSA nominated writer-director-producer-editor-cinematographer Zhang Miaoyan discusses his 2014 black-and-white feature A Corner of Heaven. Set against the country’s bleak provincial wastelands a 13-year-old boy receives a letter from his absent mother and sets off alone in search of her. Leaving his sister and grandfather behind, the boy follows the changing landscapes of the Yellow River. Register your attendance through EventBrite. Presented by Griffith Film School in partnership with the Asia Pacific Screen Awards, four-time APSA nominated writer-director-producer-editor-cinematographer Zhang Miaoyan discusses his 2018 film-noir Silent Mist. Miaoyan is an APSA nominee this year for Achievement in Cinematography alongside Xu Zhiyong. Presented by the Asia Pacific Screen Awards in partnership with the Griffith Film School, Sneha Khanwalkar is a groundbreaking composer and music director who this year is a member of the 2018 APSA Music in Film International Jury. At this exclusive event, Sneha Khanwalkar will discuss her work including Gangs of Wasseypur and the 2018 APSA nominee Manto, and perform her award-winning music at one of Australia’s leading music and performing arts schools, Griffith University’s Queensland Conservatorium. This is a rare opportunity to hear from one of the world’s most accomplished film music practitioners. Presented by Griffith Film School in partnership with the Asia Pacific Screen Awards, Lord David Puttnam is the internationally-renowned film producer who has been nominated for four Academy Awards®, winning in 1982 for Chariots of Fire. His films have won ten Oscars, 25 BAFTA Awards and the Palme d’Or of the Cannes Film Festival and he has worked with the likes of Oliver Stone, Roland Joffé, Alan Parker, Adrian Lyne and Ken Russell. At this event Lord Puttnam will discuss how emerging film students will have to adjust to the remands of a rapidly evolving screen industry. Using his own experience as a producer, politician and environmentalist, he will discuss how all three roles have impacted the development of Arctic Thirty, a film about his passion for conservation that marks his return to film production after a 19-year break. As a part of the World Congress of Science and Factual Producers free final day on Friday 30 November, APSA will be co-hosting two special events. In ‘All About Access’, APSA-nominated documentary filmmakers will join John Smithson from Arrow Media to share extraordinary stories of access behind their producers. 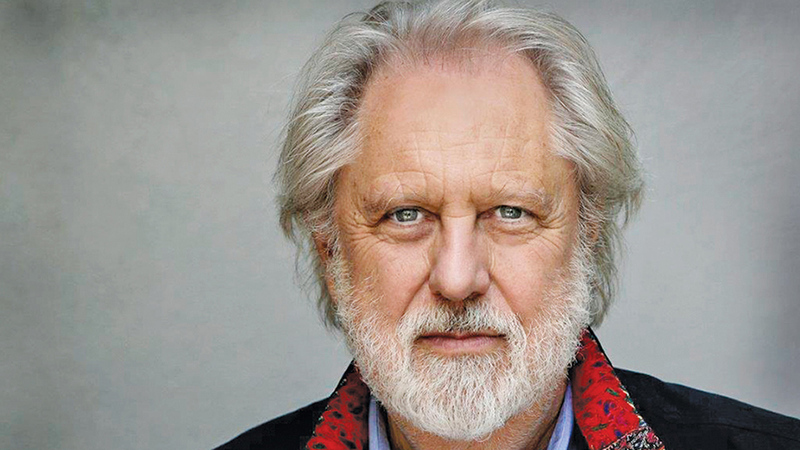 And at ‘Spark of Inspiration with Lord David Puttnam’, the Oscar®-winning producer will the close links between his history as an active politician and environmentalist, and the production of his forthcoming film Arctic Thirty. Space is limited, but you can RSVP for your Congress ’18 Day Pass at their website.